All homeowners should have your gutters checked periodically. Periodic checking makes it easy to identify broken or damaged parts. Gutters that appear clean, if even slightly broken or damaged, may fail to work properly when it rains. Addressing the health of your gutters is an act that can help prolong their life. 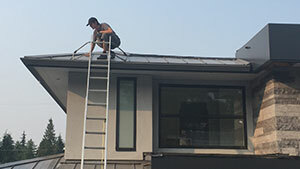 If you are wondering how much it does cost to repair or clean gutters, do not hesitate to call Eco Exteriors today. Gutter repair is a big part of what we do. We are happy to stop by and give you an estimate at no charge. Gutters, like your health, should receive regular checkups as a vital prevention measure. Professional gutter installers have the right equipment and knowledge to get the job done correctly. They know where to look for problems, and they know the benefits of working safe. Sagging gutters are one of the most common types of problems that lead to gutter repairs. Many gutters are support by long spikes and nails that work themselves loose over time. It can be unsightly and dangerous if a section of the gutter breaks loose. 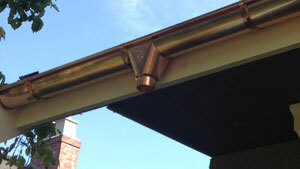 These gutters can be repaired with long screws and new brackets. If the wood surrounding the sagging gutter has been damaged, it will need replacing as well. The areas of your gutters that have sealant on them may start to fail. The reasons the fail vary. Age is the biggest reason but it can also be weather, heat, cold and expansion of the metals.If your gutters are leaking at the corners or ends contact us for a free inspection and quote to repair. Leaking or damaged downspouts and their extensions can also present a problem. 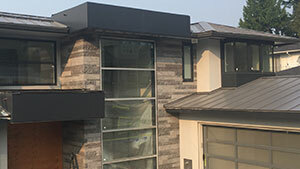 When water needs to be diverted five feet or more from the foundation, extensions are often used. Many downspout extensions are crushed, ripped, or missing altogether If a leak is minor, a repair person may be able to seal the leak at its source, or fix the leak with several screws. Gutters and downspouts may also have hard to find signs of rust. As such, a new gutter may be needed sooner, rather than later, in this circumstance.